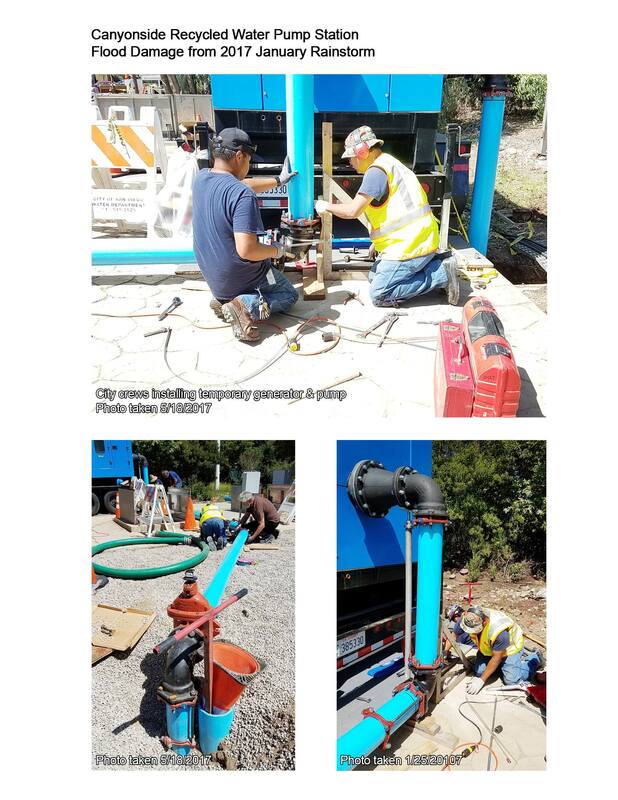 City crews worked long hours to install temporary pumps and generators; the pumps were operated manually 24 hr/day, shifts scheduled around the clock to keep pumps running and site secure. The City returned the Pump Station to full operating condition and kept costs to a minimum with the use of in-house staff. 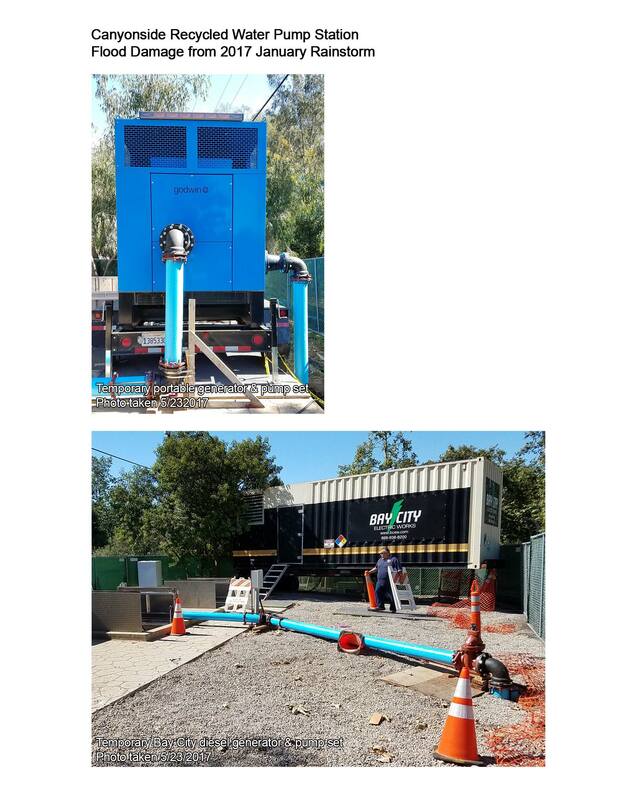 The Pump Station repair was necessary for the City to continue supplying its recycled water customers with uninterrupted service to the northern section of the distribution system. This is a key factor in serving more than a third of the recycled water produced at the City’s North City Water Reclamation Plant. City staff from the Public Utilities Department took the lead and worked expediently to bring in resources in order to meet the demands of its 186 recycled water customers that are serviced by this Reservoir. City crews fenced off and secured the Pump Station site and worked long hours to install temporary pumps and generators. The pumps had to be operated manually 24 hours a day, and shifts were scheduled around the clock to keep the pumps running and the site secure. By using recycled water for irrigation, potable water is being off-set, resulting in great savings to both the sewer and water systems. City of San Diego used/is using emergency repairs to address this/these challenge(s). 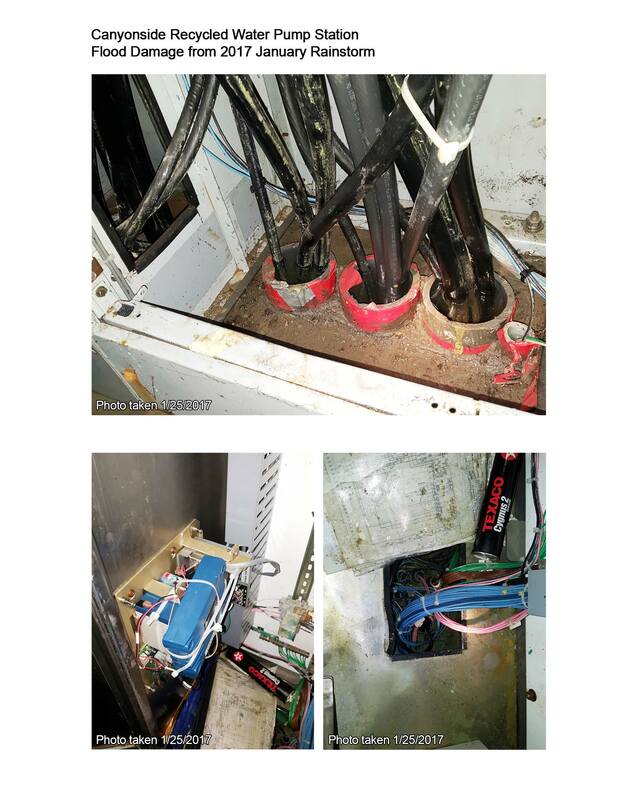 The flooding resulted in a total equipment failure of the pump station. 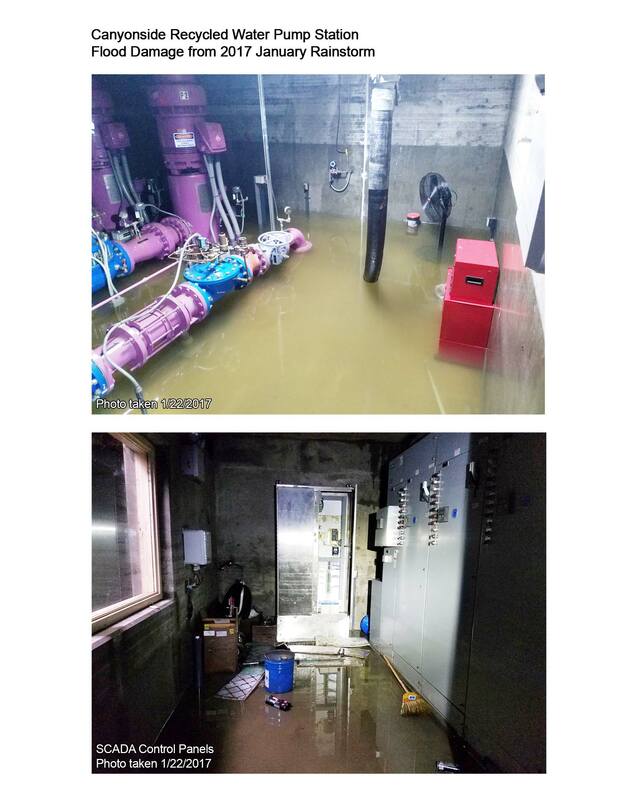 City staff from the Public Utilities Department took the lead and worked expediently 24 hours a day to bring in resources in order to meet the demands of its 186 customers that are serviced by this reservoir. 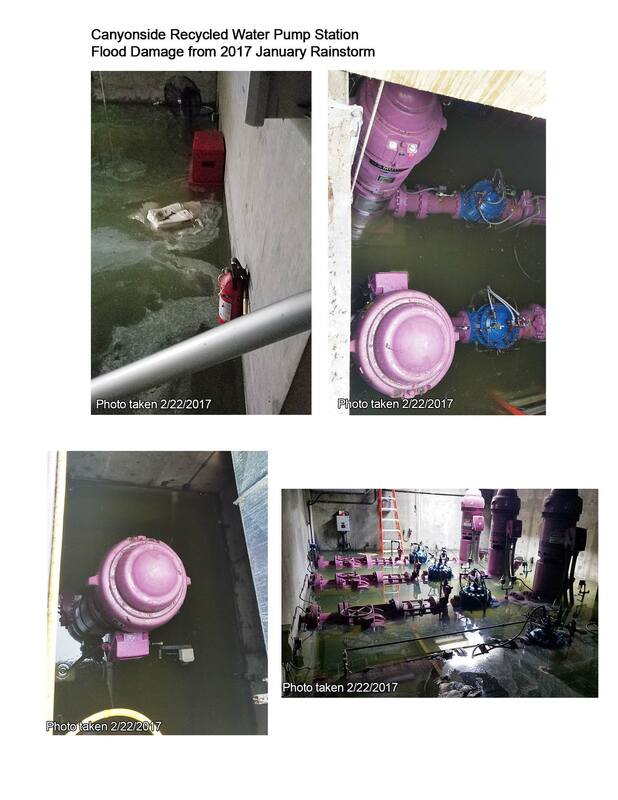 City staff also worked diligently to convey recycled water to the reservoir with the use of temporary generators and pumps until the pump station motors were repaired. The use of in-house staff to complete the repairs saved the City from spending large amounts of money to hire an outside contractor; in addition, the City staff's continue presence at the site also kept the public safe and the site secure. By quickly solving the problem, the use of potable water was minimized; by continuing the use of recycled water for irrigation, potable water is being off-set, resulting in great savings to both the sewer and the water systems. With the expertise and efficient work of its employees, the City returned the Pump Station to full operating condition and kept costs to a minimum with the use of in-house staff. the use of the City's staff expertise and efficientcy of its employees. the City returned the Pump Station to full operating condition, kept costs to a minimum with the use of in-house staff. City staff took the lead, worked expediently to bring in resources to meet the demands of its 186 customers.